Abby, Jeremy, and big brother Nash welcomed little Sienna into the world this past November. 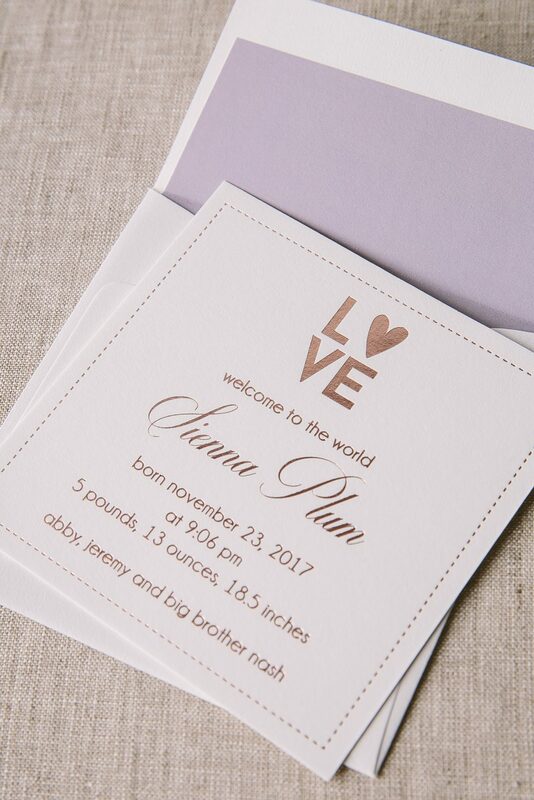 They worked with Marissa Allie Designs to create these rose gold birth announcements. They used a flourished script font to highlight her name and a clean block font for the surrounding text. A stitched border as well as a sweet motif at the top kept the announcement playful. 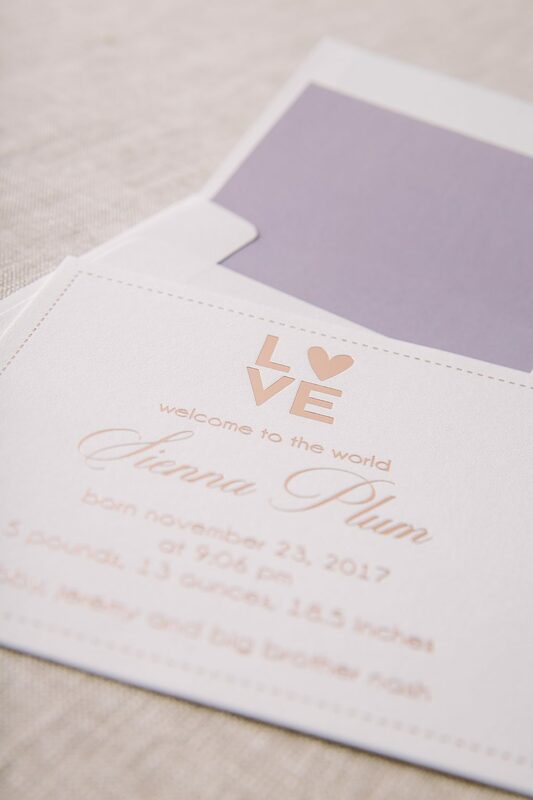 Finally, a solid purple envelope liner added a splash of color to this little one’s set.